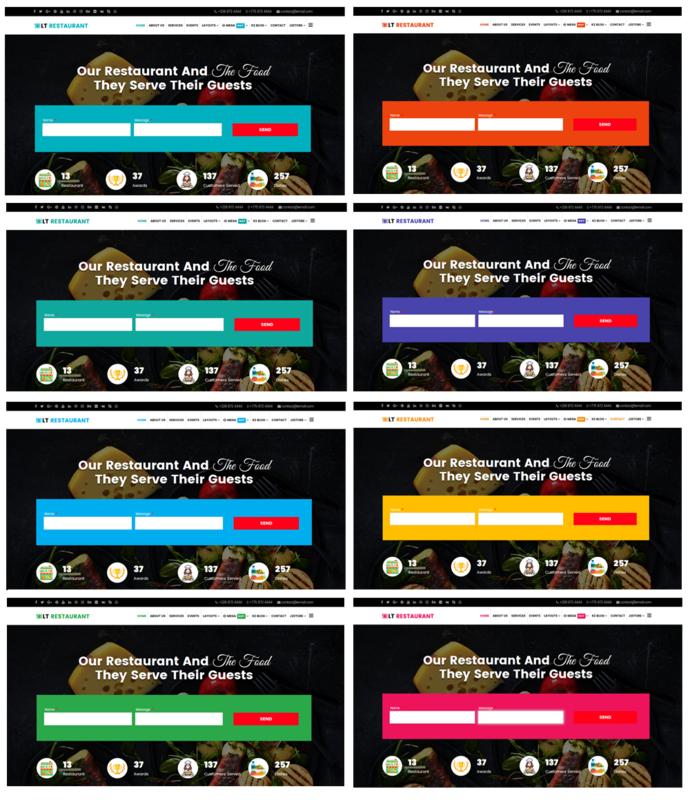 LT Restaurant is premium template tailored for food order or restaurant websites. This template makes it easy to showcase and update your important information about restaurant's foods. Besides, it allows customers to easily buys your products for delivery through online ordering systems. 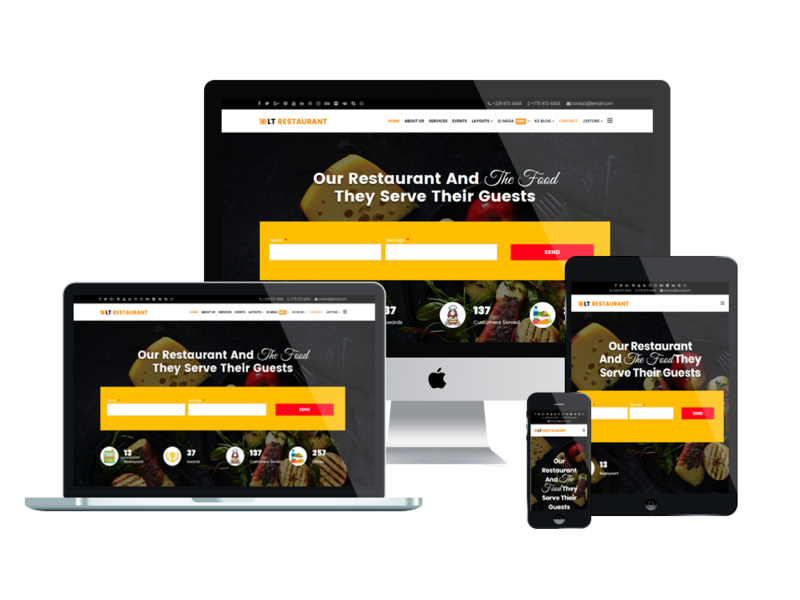 It builds for Restaurant Joomla template area with 100% responsive layout (support for mobile devices). LT Restaurant supports 4 color styles and working with strong framework, powerful shortcodes, unlimited module positions and easy to drag-drop layout content. Moreover, it comes with flexible homepage which includes boxed and full width layout. This template builds with 8 color styles. If you like another color without 4 default color styles, you can change it via Template Settings easily with unlimited colors based on Color picker Tool.